This week, Lignum Draco challenges us to demonstrate our interpretation of Vivid. “Perhaps it’s your favorite flower in full bloom, a beautiful sunset or the color of your ice cream…” You can view the entire challenge post here. Now that I am retired, spending my winters in Arizona, I found myself attending at least one day’s exhibits at Barrett-Jackson’s Scottsdale Auto Auction. 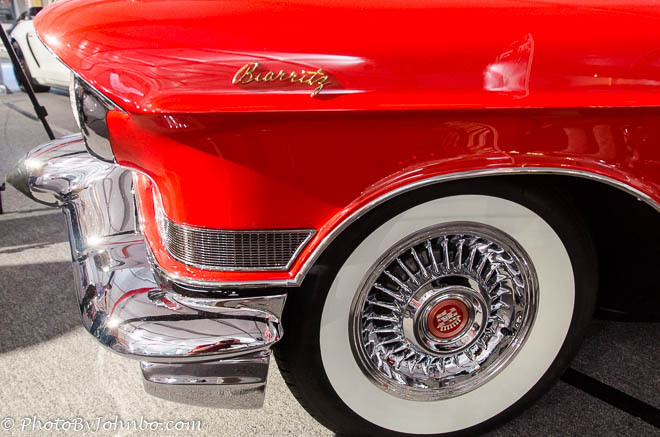 When I saw the challenge theme, I immediately thought of many of the classic vehicles and other items lovingly restored and given paint jobs their original owners could have only dreamed of. 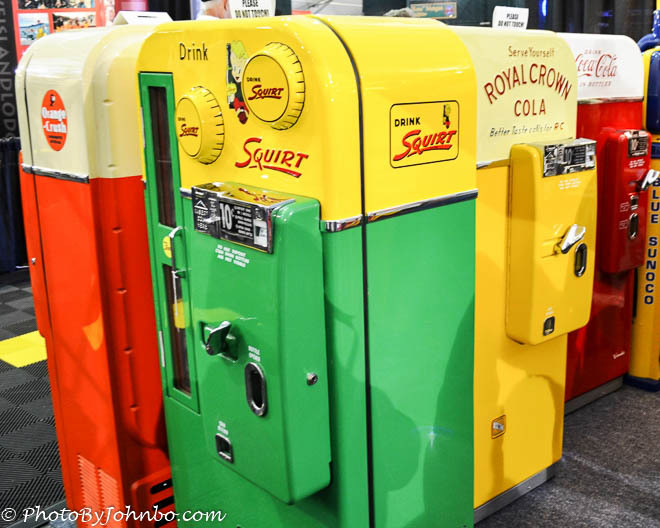 Mid-20th century soda machines were on display for purchase as well as many other nostalgia. Restored in original colors, these bottle pop dispensers truly meet the definition of vivid. My challenge response this week includes a gallery of images taken over the last four years in January’s Scottsdale auction. These images were processed in Adobe Lightroom, but only for exposure and clarity as well as adjustment for lens correction. None of these images had their saturation or vibrance settings changed from the original image processed in either a Nikon D5100 or Nikon D7000. Click on an image to enlarge it and to scroll through the gallery. A restored 1959 Cadillac and custom matching trailer. An early 1950s model Ford station wagon. Custom engines can be very vivid. Engine compartment in orange and chrome. Custom paint on a semi tractor. Excellent choices John, especially love the soda machines! I forgot to mention in my first reply that in addition to the soda machines being sold at the auto auction, we saw many jukeboxes similar to the one featured in your VIVID post. None of the ones we saw, however, were illuminated. Those early models were truly a work of art when they were all lit up. This is an enjoyable series. Well worth viewing.